Butter Icing Cake (one kg for RM42) (UPDATED 25. Nov 2011 – She does NOT sell the cakes by half kg, only one size = 1kg) Surprisingly dense cake made of pure butter (with option of butter-chocolate), elegantly laced with melt-in-mouth icing; almost like meringue’s texture. Nancy Chong. Mention this name to the newer generations and they’d be puzzled with no clue as to what, where and who the name implies. 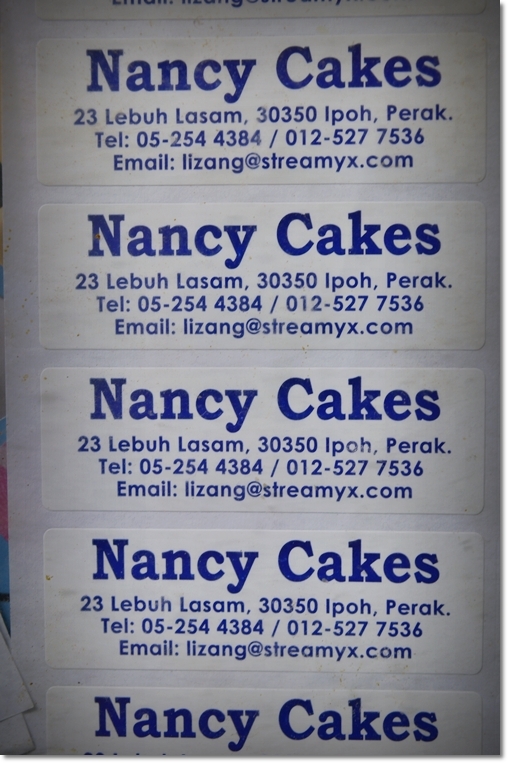 But what if I tell you that Nancy Chong has been baking her famed cakes since more than four decades ago in Ipoh? And that the fact that her business is still booming; still perpetually baking for orders streaming in endlessly? Read on for an insight into what made this brand so heartwarming; tugging into the deepest emotions of some (those whom had their wedding cakes made by Nancy back in the days), while satiating the sugar cravings of the countless others …..
No fancy gadgets, technology-driven efforts, brilliantly-uniformed motives nor even 1001 flavours. At Nancy Chong’s, you get pure, unadulterated classics like how your parents used to have their cakes back in the 70’s. I was not aware of Nancy Chong Cakes until my Mum brought this up sometime last year. That she not only bakes cakes made-to-order, she makes some mean curry puffs too. Though that’s off the menu, and she only does that based on request. 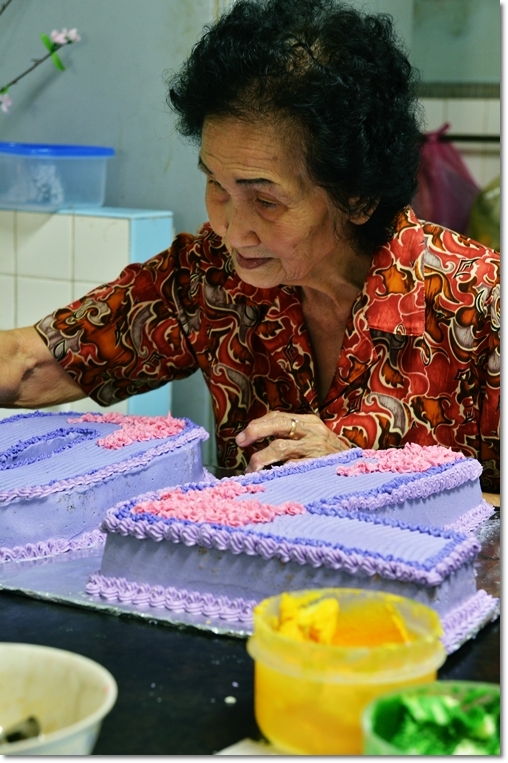 Just when the time is nigh for designer cakes to creep into the mainstream, here you have a stripped down, back to basics home baker in Ipoh with a niche market; regulars swearing by her creations for years. Sorry, make that decades. 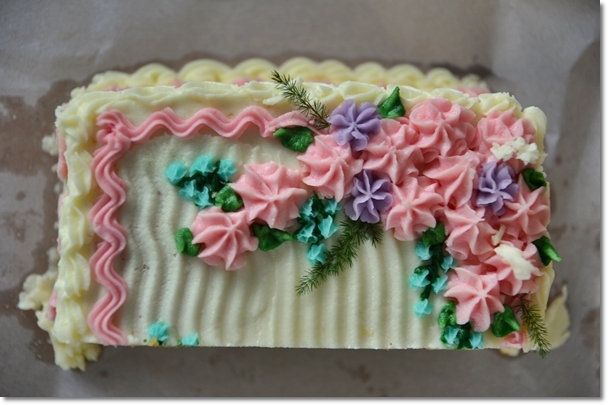 So what’s the fuss about a common butter cake; liberally designed with colourful icing/frosting? Every single bakery in town has at least one cake designed with unabashedly generous amount of icing, right? Not if the icing is made by Nancy Chong. Seriously. The first time I sampled her cakes was sometime back in the middle of this year. I shared one picture on the All About Ipoh Facebook page, and almost instantly a flood of comments ensued. And there I was; in my casual smirk thinking that nobody was going to get that right. A butter cake with icing is too generic to be branded as a signature creation, right? 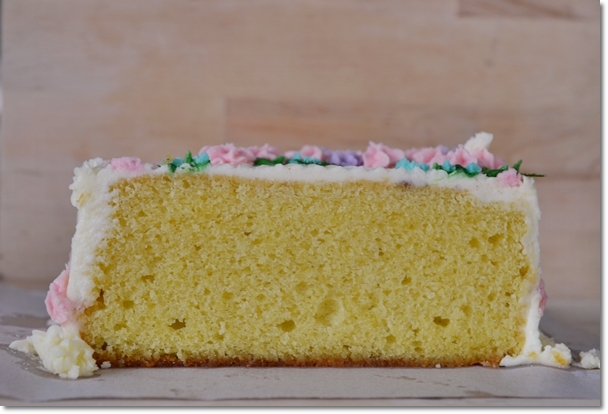 The marble cake can be used as the base for the icing cake, OR sold like it is. Goes to show that her fan base runs deep; with people from different generations sharing their experiences, stories and comments on Nancy’s cakes. Like as though her cakes have not evolved since she first started. A bad thing you said? Far from it, dear readers. If it ain’t broken, why fix it? 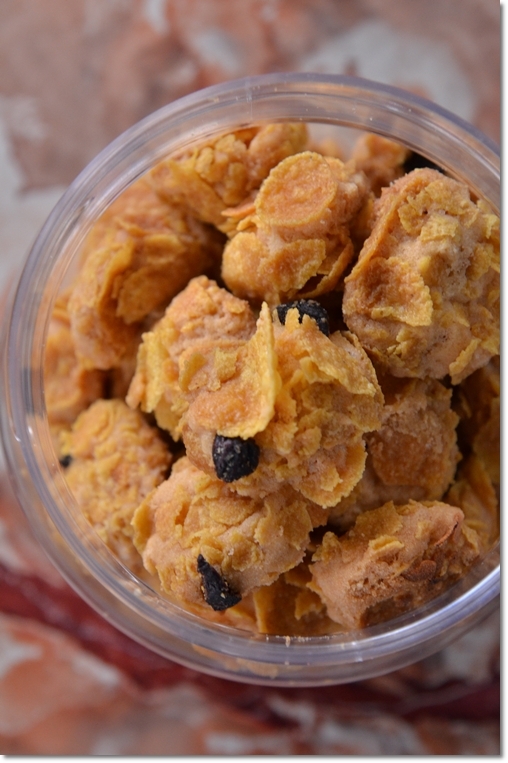 Cornflake cookies with raisins (RM14/USD5 for a small container, RM24/USD8 for a large one) – Now this is crispy, addictive and pure pleasure to snack upon. So I told Mum, that I need to go over for a visit. Nancy operates from her house; assisted by her daughter Angela, and a maid. Wait, that’s it? Were you expecting a battalion of assistant bakers, cleaners and designers dedicated to the different processes? I did. 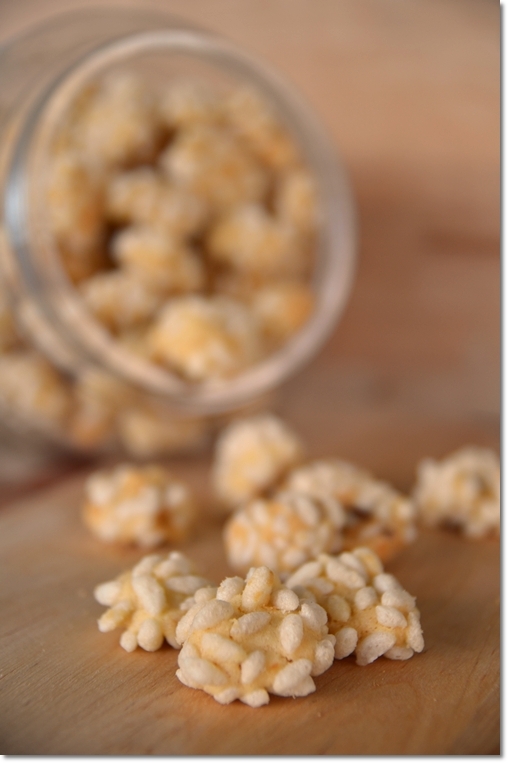 Crispy rice cookies; a sure fire hit among the children. And the young-at-heart like yours truly. And so there we were, stepping in into the compound of her home; sharing partial perimeters with KPJ Ipoh Specialist Hospital located on Tambun Road. Her house is adjacent to the parking lot behind of the hospital, so it’s a cinch to locate Nancy’s place. Felt strange to be lugging around a camera inside one’s home, and half-expecting to be denied the privilege to shoot around her kitchen. 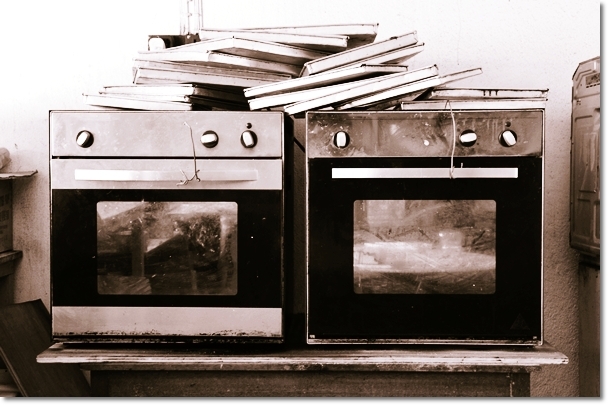 Were you also expecting modern gadgets, huge ovens and state-of-the-art apparatus? Haha … the kitchen was as down-to-earth like as though you have just walked into your own. Or your granny’s. To my surprise, Nancy was NOTHING like how I envisioned her to be. One Passionate Octogenarian – Still going at it in her 80’s now, Nancy Chong exuded an entirely different aura than what I initially expected. One of maternal warmth and glowing passion in her works. And was I surprised to see her in person. A complete 180 degrees on the opposite scale of my perception; a stark resemblance to my own grandma. 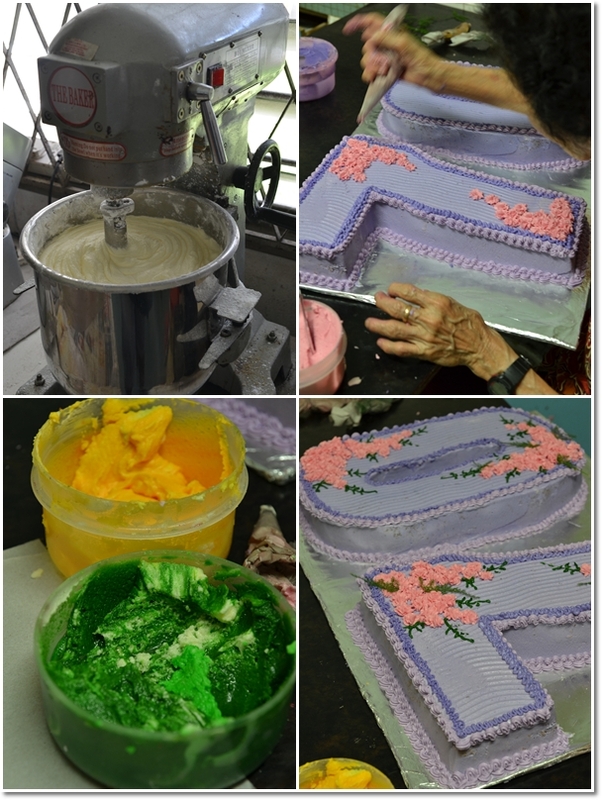 Only here we have a granny in her 80’s, still painstakingly baking and decorating her cakes with much gusto. Heck, they even bake on weekends and public holidays to meet the demands. There must be something deeply therapeutic about baking and sharing. Nancy Cakes; or Nancy Chong Cakes as we have always related to her brand, is a household name that’s almost as under-rated as it is over-hyped at the same time. It depends on your school of thoughts, your era of birth, and your appreciation for nostalgic memories embedded in her creations. If you ask me is this the BEST cake in Ipoh? I can’t answer that with a firm affirmation. After all, to some, the idea of putting sinful, icing-laden cakes into the mouth might sound revolting. I know, because I personally have heard stories from friends. But if you want to know if this is the oldest brand of home bakers around? I daresay, most definitely. A legacy built upon the strength of her icing cakes, you have to be a tad uptight if you’re not moved at the slightest bit when you chanced upon seeing her working in her laboratory of art; baking in the comfort of her kitchen at the back of her house. Prior reservation is a must; preferably two days in advance. *Directly next to the parking lot of KPJ Ipoh Specialist Hospital; behind the hospital. You can walk in to purchase her cookies sold in large container (RM24) or small container (RM14), but her cakes are made to order. Haha… I have never thought of writing about my grand aunt and someone else is doing it instead. Well, she makes good cakes and that’s undeniable but she is rather highly calculative. I remember visiting her when I was young and she charged me RM0.40 for a tiny piece of butter cake which she got from trimming the edges of a block of cake. A grand aunt was selling the leftover to her own grand niece who was merely 10 years old then… What a joke! She’s your grand aunt, Pam? Haha …. interesting bit of story there. simply the best butter cake. Yeah …. I’ll definitely look forward to that sinful treat of a slice after every meal when I’m back home. I must say that she has lived the test of time and she continues to be the best. Her cakes are her signature and she is one very friendly nice old woman. I buy all my cakes from her for any occasion even it is far for me but i drive down as i only one the best ..
She even caters for vegetarian which is really nice ! I’m surprised you only got to know her recently, my mum have been her customer for over 30 years. Mainly ordering cakes for birthday’s. I’ve never come across any other cake maker, who uses the type of icing which she uses. Have you? Hi Kash. I have not come across such icing either; it’s something entirely in its own league. Yes, surprisingly, we only started ordering from her recently. All cake makers used to do butter icings like these until somebody said that it was not very healthy and then they started to do the yucky icing they’re having now. I really miss the butter icing. I think if I bought 1 kilo of the cake with Icing, I will finish it all myself. Thanks for doing this review, brings back memories since I’m overseas! You’re most welcomed Kash. 1kg?!!! Haha … slowly yeah .. but at one seating?!! Ahem. That will knock me out cold! 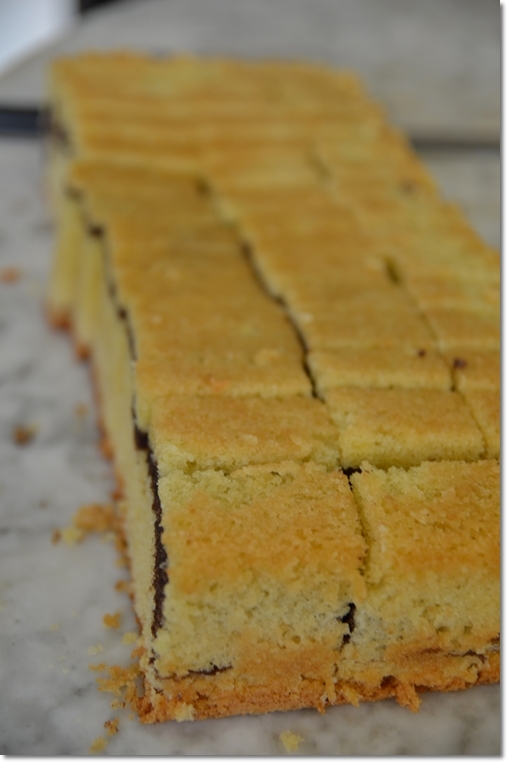 A bite into her cake is like sinking my teeth into the blissful memories of my childhood…pure undulated comfort food. At this day and age some shun it’s icing, complaining it sweetness, but the secret is eating every forkful of the buttercake with the icing, and then sip on a a cup of hot steaming black coffee – believe me, it almost felt like heaven… IMO, her buttercakes beats other buttercakes from established joints hands down! Very well said, Anne. I was digging into the chilled cake earlier, pairing the icing cake with milk tea though, but scraping the fragrant, buttery layer underneath the cake with my hands. Every mouthful was a delight. Yes, I was very skeptical initially, on how could the icing overshadows the cake itself. Until the first bite … was pure bliss. Even if you leave the cake in refrigeration, and eat it almost immediately after taking the cake out, the icing still melts in mouth. My Aunt used to order her cakes for my late grandmother… good to see this post. Thank you so much for the memories. I remember the beautiful cakes my Mum used to order from her (think flowers in a basket, a doll with a decorated cake for a skirt, etc.) for my birthday. That was so very long ago and I am so glad that Mrs Chong is still at it. This lady is a legend in her own time. You’re most welcomed, Stephanie. She’s indeed, a legend. wow! u got to nancy chong. sad to say, the decorations and icing are not as good as 20-30 yrs ago. back in those days, it was pure royal icing (as white as a4 paper). now she adds butter/magarine to the icing. the little flowers are no longer that neat, maybe due to her age or done by her indo maid. it brings back memories of my birthday cakes in those days. i just go ga ga over the pretty little flowers with ferns as leaves on white royal icing. too good for eating! decorating the cake with them, you’d be hard-pressed not to feel touched by her works. And passion. herself. Sometimes, it’s not the end product that matters. It’s the effort and passion. yup, got your point on her passion for what she does. wonder why she did not retain the original royal icing recipe. there should not be any butter/magarine in it. Agree with J2KFm. I call her auntie Chong, I used to work for her, once I completed my O level. Seriously, a steady hand on piping icing is a good piece of art. Legend..! Definitely say yes. Rich aroma butter cake smell from warm baking corner’s , how could I forgot-while assisting Mrs Chong. Check out those beautiful Wedding cakes, where the Sultan’s family used to order from her frequently. Her successful hard work & impressive baking skill will continuously recommend. you’d want to grab another for that pure buttery taste and irresistible icing. Wow! Really salute her for being able to bake such nice cakes 🙂 Really have to pay her a visit the next time we go Ipoh. Getting a cake from Nancy Chong has been an annual family affair for some years now. Yes, the icing is sweet and she does slather it on quite generously. 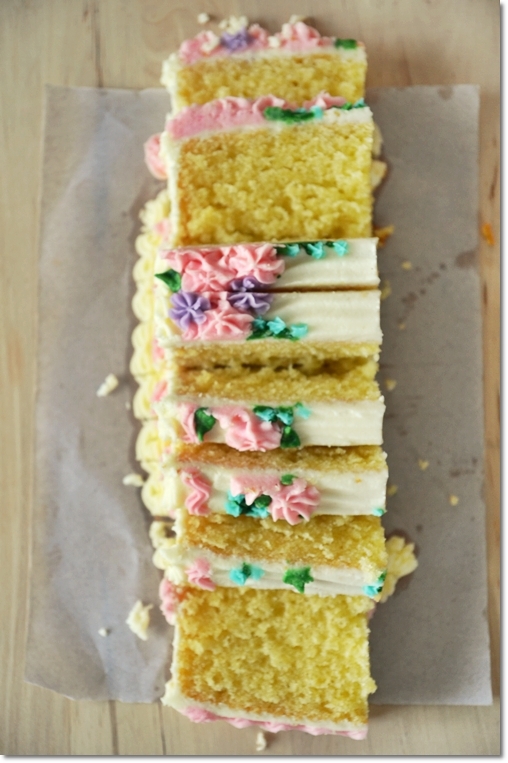 Try this tip: scrape off the excess icing, store it in a container, refrigerate it and use it as a bread spread! The kids love it! My first birthday cake is from Nancy Chong. used to order her cakes for birthdays but not anymore. feels too sweet to our liking. kids will love the sweet icing though. I used to love cakes with icing when I was young. Always want the corner piece(got more icing mah!). Now as I grow older no cakes with cream or icing for me. So those cakes that are decorated as 2D and 3D are out for me. But then I still love cakes. I would like to recommend the cakeshop called the Brownies which have good cakes. I am not trying to advertise for them but knowledge of such good cakes produced by them should be shared. Try their choclolate moist and belgian cheese. You will thank me for it Oh..by the way, their durian cake is so so delicious. Thanks Mandy. The Brownies has been mentioned a few times before in the Facebook page, yet I have not visited De Garden for quite some time now. Yeah..Mandy…when we were young, we enjoyed the sweetness of the icing . Alas as we grow older, this cannot eat, that cannot eat. The Brownies? My friend bought some mooncakes from them…they were very good! I think I will try their cakes soon. My all time birthday cake since 4 yrs old! Angela was a friend of my dad. We always order the famous butter cake for no reason. ^.^ The icing butter cake always come up to my mind. Oh, they do have fruit cakes? That’s great to hear. I love fruit cakes with liquor! I have just returned to Sydney (yesterday) after 3 weeks in Singapore n Malaysia n due to the hectic schedule did not get a chance to check out your latest write ups. My dad’s home is two doors away from Nancy’s old home and I grew up with the smell of butter cakes in the air and obviously eating cakes ordered from her. I had asked dad where she had moved to n dad wasn’t clear and lo behold, your article on her. She has obviously aged as she used to be a very chubby lady and your pictures and my memories of her are vastly different. Thanks for this as it brings back memories. You’re most welcomed, Millie. She has aged, no doubt. But still very much into baking and decorating her own cakes. i have had her cakes for my birthdays since i was 1 years old!!!!!! 🙂 awesome! Hi Audrey. Since 1?!!! Wow … you lucky gal you. Haha …. Heard that Mrs. Chong had passed away. Is it true? Sorry if what I heard is just a false news. What?! I had no idea. But does anyone know about this? If it’s true, this would be such a huge loss. Hi hi! No she’s very much alive! GOD BLess ….She still very healthy…. afsheen, they have never done delivery to doorsteps, if I am not wrong. Now they have set up a facebook page for their cakes! Check it out. All the pictures look so yummyyyy. do u delivery cake in ipoh?